Orthopaedic Center of Southern Illinois performs a variety of orthopaedic examinations daily in their Imaging Department. A GEHealthcare 1.5T MRI, Hologic Discovery-C Bone Densitometry (DEXA), Digital Radiography Imaging suites and C-Arms are available for convenient service to the patient. The 1.5T MRI system allows for state-of-the-art imaging technology. Manufactured by GE Medical Systems®, the Signa Infinity 1.5T system features the most comprehensive clinical capabilities in the industry, and the most advanced magnet technology available today. One of the greatest advantages of the MRI system is that it provides a non-invasive means of acquiring very accurate information for referencing veins and arteries within the body. Consistent, high-quality images are produced using anatomy-specific RF coils. A typical exam will take approximately 30 minutes to complete. The Signa Infinity features an open architecture that is much more patient friendly. Exams can be done in half the time giving the physician the capability to interpret results before the patient leaves the imaging suite. 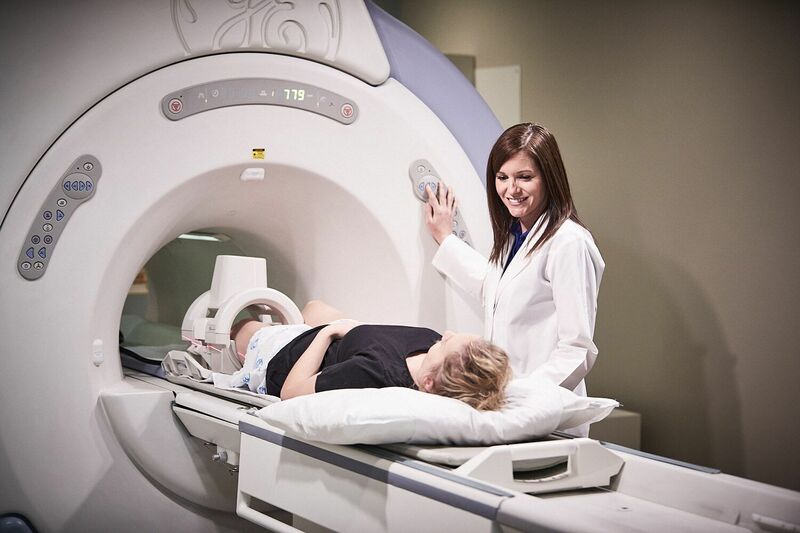 The MRI Department was awarded a three-year term of accreditation for its closed MRI as the result of a facility survey conducted by the American College of Radiology (ACR). 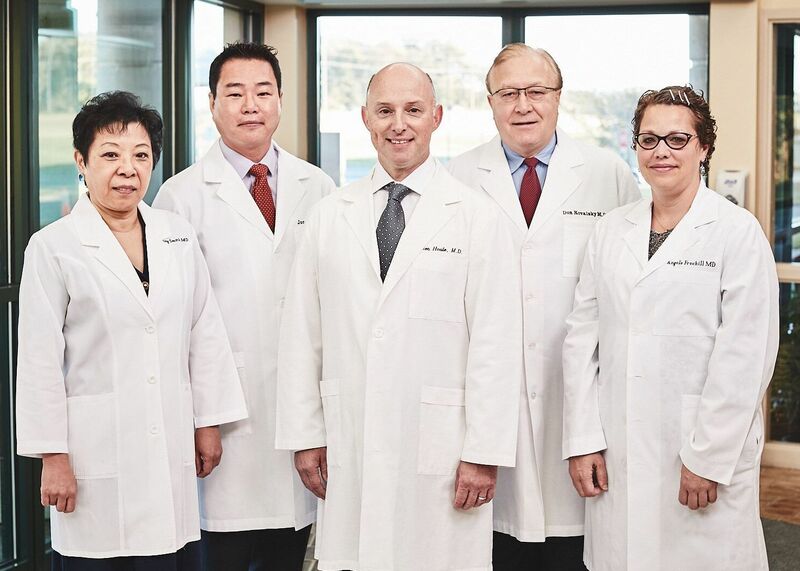 Accreditation is voluntary, and those healthcare organizations who seek this distinction receive evaluations for image quality and procedure by board-certified radiologists and physicists who are experts in the field. The accreditation program also evaluates the qualifications of staff, adequacy of equipment, and quality control and assurance measures that the facility has implemented. ACR accreditation is no easy accomplishment, and for the MRI staff to take this challenge on and acquire this accreditation – is remarkable. COMING IN THE SUMMER 2019 - THE NEW SIGNA EXPLORER LIFT. The upgrade will focus on patient comfort in the practice, from reducing noise levels to lowering the table height and offering free-breathing applications. GEHealthcare carefully thought through the entire patient experience by combining advancements in design, technology and applications - SIGNA Explorer sets a new standard for patient comfort. The Hologic® Discovery-C / QDR Bone Density (DEXA) system is the gold standard in bone density health. It allows for scan analysis of the spine, hip and forearm determining the bone density of our patients. The Hologic® DEXA scanner allows the healthcare provider to visualize unknown fractures in the spine using an Instant Vertebral Analysis (IVA). It is a painless exam that instantly produces a report for diagnostic interpretation. 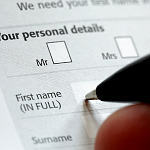 The provider can see the patient as soon as the exam is completed. A DEXA scan is a safe non-invasive exam that is done in the comfort of our office. It uses a low dose of radiation to produce accurate results. 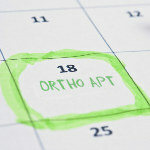 This simple test can detect the beginning of bone loss as well as advanced cases of osteoporosis. 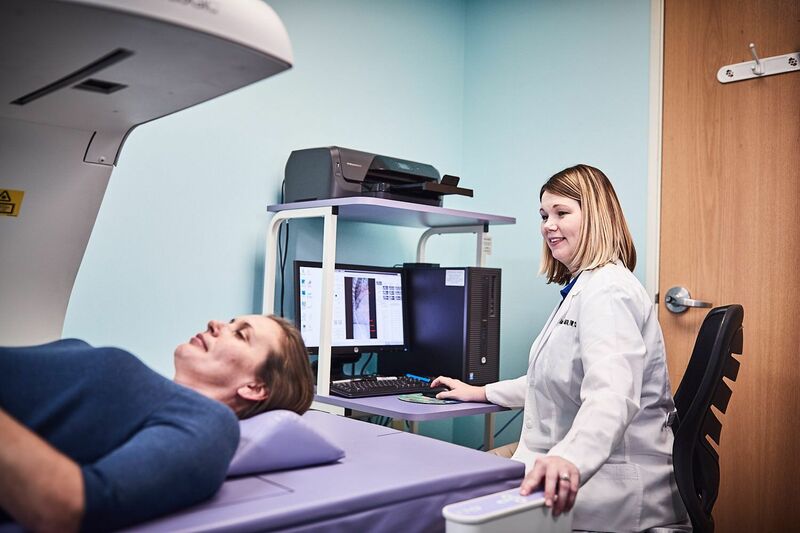 Hologic® DEXA scan is the first step toward healthier bones for the future. Digital Radiography is available at the Mt. Vernon and Centralia locations. The Canon CXDI-50G/D and VIVIX VX Vue Digital Radiography systems are linked to a Sectra PACS workstation and images may be viewed in the exam room with the physicians. A single Digital Flat Panel Image Detector is used to capture an image immediately and displayed for review on a monitor within seconds. 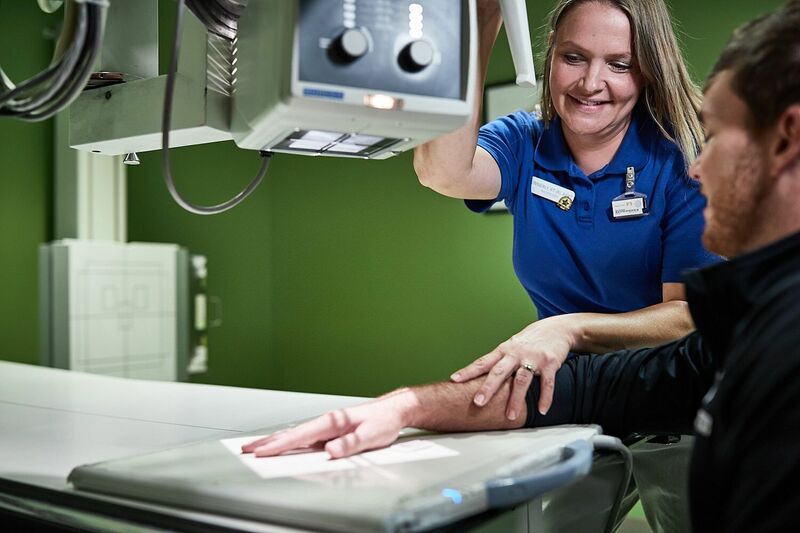 The PACS stores, displays and transmits all types of digital (computerized) medical images – MRI, CT, DEXA, ultrasound, and now conventional x-rays. A C-Arm (fluoroscopic control) is available in each minor procedure suite for interventional and diagnostic procedures. C-Arms are used for needle localization, pain management procedures, to diagnose and confirm reduction of fractures and diagnostic imaging purposes.